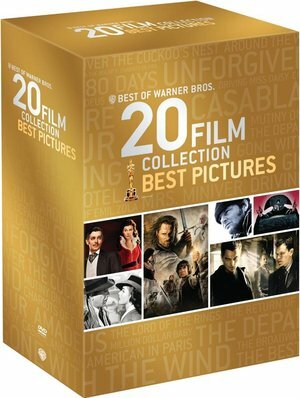 Just in time for the upcoming Academy Awards telecast, Warner Bros. has released a Best Pictures DVD collection comprised of 20 films produced or owned by the studio. This set contains 20 classic, Best Picture winners on 23 discs. Warner Home Video (WHV) has announced the launch of two new programs, “Warnerblu Buy 5 Get 1 Free,” the Studio’s first-ever Blu-ray Disc customer loyalty program, and an HD-DVD trade up program, “Red2Blu,” which offers HD-DVD owners the opportunity to upgrade their Warner Home Video releases on HD-DVD for a Blu-ray Disc of the same movie. The new “Warnerblu Buy 5 Get 1 Free” program offers consumers one free Blu-ray movie for every five participating titles purchased through April 6, 2010 (shipping and handling not included). “Warnerblu Buy 5 Get 1 Free” is open to residents in the United States and Canada. To join “Warnerblu Buy 5 Get 1 Free,” consumers register at Warnerblu.com/rewards. After joining, members earn one credit for each subsequent WHV Blu-ray title they purchase. Once their Blu-ray title is registered, their Warnerblu account is credited, and when they reach five Blu-ray titles, they will be able to select a free WHV Blu-ray Disc (plus shipping and handling). In addition to “Warnerblu Buy 5 Get 1 Free,” WHV has announced a new program, “Red2Blu,” for those who want to upgrade titles they currently own on HD-DVD to Blu-ray. By visiting Red2Blu.com, consumers can trade up virtually any of their WHV HD-DVD titles (up to 25) for the same title on Blu-ray for a small fee plus shipping and handling. “Red2Blu” is available to residents of the United States only.